Shelley Kolman Smith specializes in portrait and liturgical art. Her home studio, Flying Paint Ranch Sculpture Studio, is located in Poetry Texas and her art and sculptures are featured all over the United States. Shelley Smith is one of our very first clients and was an encourager long before that. 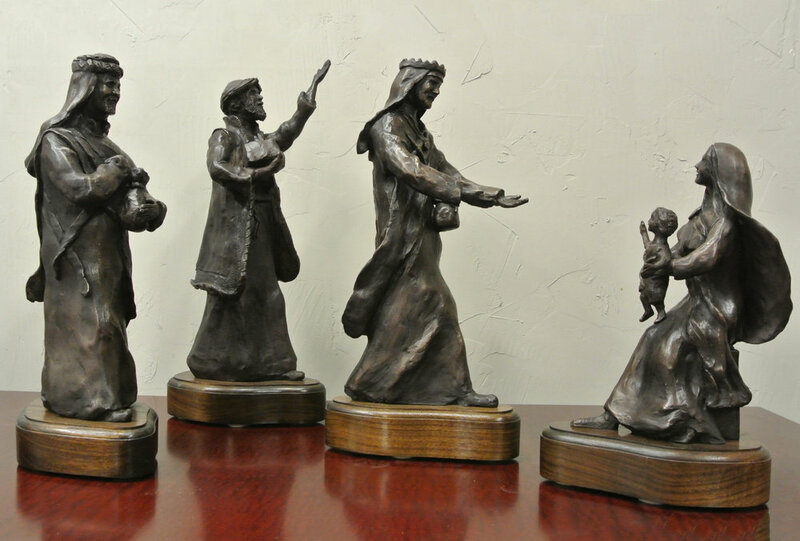 In Shelley Kolman Smith's career as a sculptor she has done many portrait and liturgical pieces commissioned by various parties. "She has a natural gift for portraying not only a likeness, but the personality of her subjects." If you are interested in any of Shelley Kolman Smith's work, or would like to commission her for a special project visit her website or simply fill out our contact form and we can put you in contact with her. 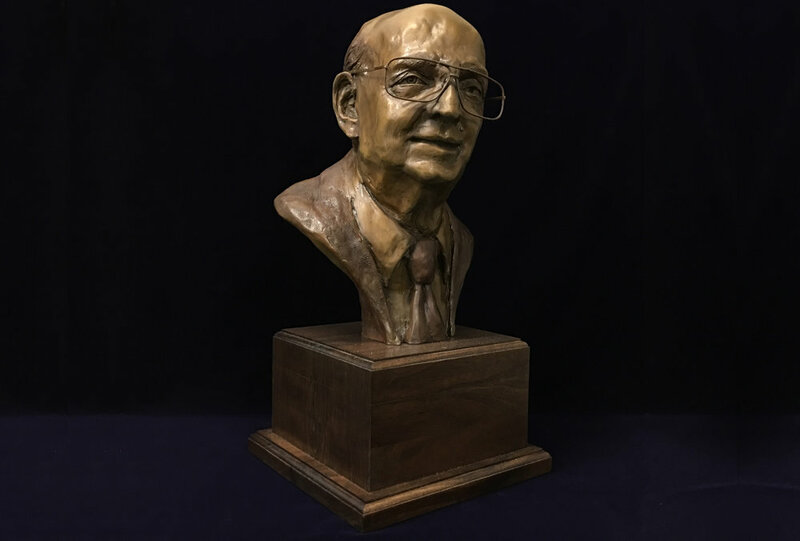 This life-size bronze is at the Serra High School in California. 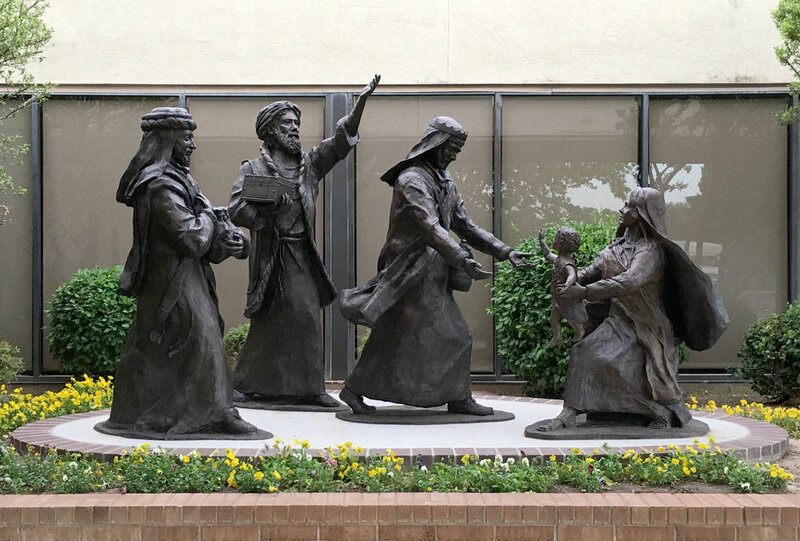 This life-size Epiphany scene is located at the Epiphany of the Lord Catholic Church in Oklahoma City, OK.
Memorial/Portrait installed at the Brownwood County Club. This life-size bronze is at the St Mary Magdalene Church and School in Apex, NC. This life-size bronze is at the University of San Francisco. This is part of a collectable maquette series, with available editions. This maquette is a limited edition. This is part of a collectable maquette series, with limited editions available.